AC-JRAS1455 The Yamaha Recording Custom Aluminium snare drum was designed in collaboration with legendary drummer and renowned Yamaha artist Steve Gadd to reintroduce the recording custom series while also adding in some modern technological advancements which when combined with the precision engineering of the recording custom really allows this snare drum to really cut through the mix in any modern day musical setting. 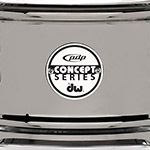 AC-JRAS1465 The Yamaha Recording Custom Aluminium snare drum was designed in collaboration with legendary drummer and renowned Yamaha artist Steve Gadd to reintroduce the recording custom series while also adding in some modern technological advancements which when combined with the precision engineering of the recording custom really allows this snare drum to really cut through the mix in any modern day musical setting. 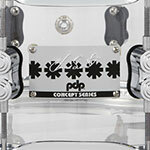 AC-JRLS1455 The Yamaha Recording Custom Stainless Steel snare drum was designed in collaboration with legendary drummer and renowned Yamaha artist Steve Gadd to reintroduce the recording custom series while also adding in some modern technological advancements which when combined with the precision engineering of the recording custom really allows this snare drum to really cut through the mix in any modern day musical setting. 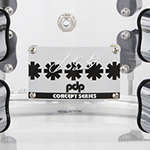 AC-JRLS1470 The Yamaha Recording Custom Stainless Steel snare drum was designed in collaboration with legendary drummer and renowned Yamaha artist Steve Gadd to reintroduce the recording custom series while also adding in some modern technological advancements which when combined with the precision engineering of the recording custom really allows this snare drum to really cut through the mix in any modern day musical setting. 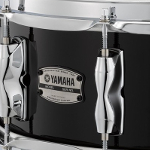 AC-JRBS1455SOB The Yamaha Recording Custom snare is refined to the finest details to ensure the most crisp and articulate sound imaginable. 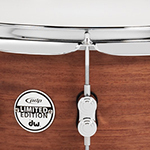 There are a few reasons why this drum sounds exceptional. High-tension, one-piece lugs ensure optimum sustain, with crisp and articulate tone. With focus and vintage punchiness, while removing unpleasant overtones, and keeping the good ones. AC-JRBS1455SFG The Yamaha Recording Custom snare is refined to the finest details to ensure the most crisp and articulate sound imaginable. 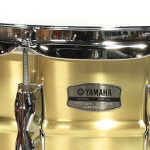 There are a few reasons why this drum sounds exceptional. 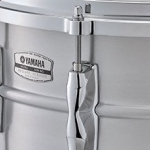 High-tension, one-piece lugs ensure optimum sustain, with crisp and articulate tone. With focus and vintage punchiness, while removing unpleasant overtones, and keeping the good ones. AC-JRBS1455WLN The Yamaha Recording Custom snare is refined to the finest details to ensure the most crisp and articulate sound imaginable. 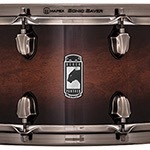 There are a few reasons why this drum sounds exceptional. 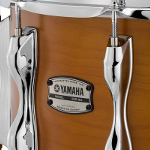 High-tension, one-piece lugs ensure optimum sustain, with crisp and articulate tone. With focus and vintage punchiness, while removing unpleasant overtones, and keeping the good ones. AC-JRBS1455RW The Yamaha Recording Custom snare is refined to the finest details to ensure the most crisp and articulate sound imaginable. 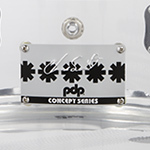 There are a few reasons why this drum sounds exceptional. 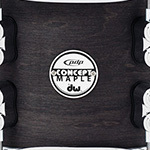 High-tension, one-piece lugs ensure optimum sustain, with crisp and articulate tone. With focus and vintage punchiness, while removing unpleasant overtones, and keeping the good ones. 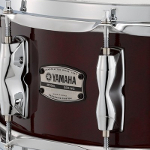 AC-JRBS1480SOB The Yamaha Recording Custom snare is refined to the finest details to ensure the most crisp and articulate sound imaginable. 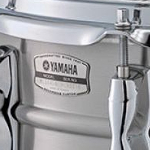 There are a few reasons why this drum sounds exceptional. 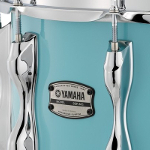 High-tension, one-piece lugs ensure optimum sustain, with crisp and articulate tone. With focus and vintage punchiness, while removing unpleasant overtones, and keeping the good ones. AC-JRBS1480SFG The Yamaha Recording Custom snare is refined to the finest details to ensure the most crisp and articulate sound imaginable. 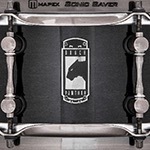 There are a few reasons why this drum sounds exceptional. High-tension, one-piece lugs ensure optimum sustain, with crisp and articulate tone. With focus and vintage punchiness, while removing unpleasant overtones, and keeping the good ones. AC-JRBS1480WLN The Yamaha Recording Custom snare is refined to the finest details to ensure the most crisp and articulate sound imaginable. 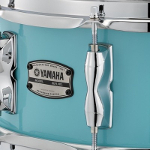 There are a few reasons why this drum sounds exceptional. High-tension, one-piece lugs ensure optimum sustain, with crisp and articulate tone. With focus and vintage punchiness, while removing unpleasant overtones, and keeping the good ones. 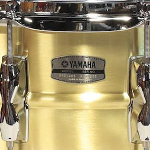 AC-JRRS1465 The Yamaha Recording Custom Brass snare drum was designed in collaboration with legendary drummer and renowned Yamaha artist Steve Gadd to reintroduce the recording custom series while also adding in some modern technological advancements which when combined with the precision engineering of the recording custom really allows this snare drum to really cut through the mix in any modern day musical setting. 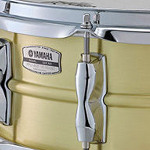 AC-JRRS1455 The Yamaha Recording Custom Brass snare drum was designed in collaboration with legendary drummer and renowned Yamaha artist Steve Gadd to reintroduce the recording custom series while also adding in some modern technological advancements which when combined with the precision engineering of the recording custom really allows this snare drum to really cut through the mix in any modern day musical setting. AC-JRBS1480RW The Yamaha Recording Custom snare is refined to the finest details to ensure the most crisp and articulate sound imaginable. 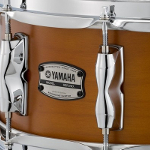 There are a few reasons why this drum sounds exceptional. High-tension, one-piece lugs ensure optimum sustain, with crisp and articulate tone. With focus and vintage punchiness, while removing unpleasant overtones, and keeping the good ones. 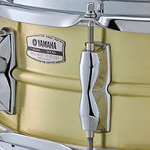 AC-JRRS1365 The Yamaha Recording Custom Brass snare drum was designed in collaboration with legendary drummer and renowned Yamaha artist Steve Gadd to reintroduce the recording custom series while also adding in some modern technological advancements which when combined with the precision engineering of the recording custom really allows this snare drum to really cut through the mix in any modern day musical setting. 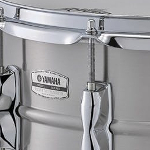 As a stockist of Yamaha, Mapex, PDP and DW Drums, we are able to offer prices on most snare drums from these manufacturers. If you cannot see what you are looking for, please give us a call on 01772 722468.